This is a 4 foot combination leash. 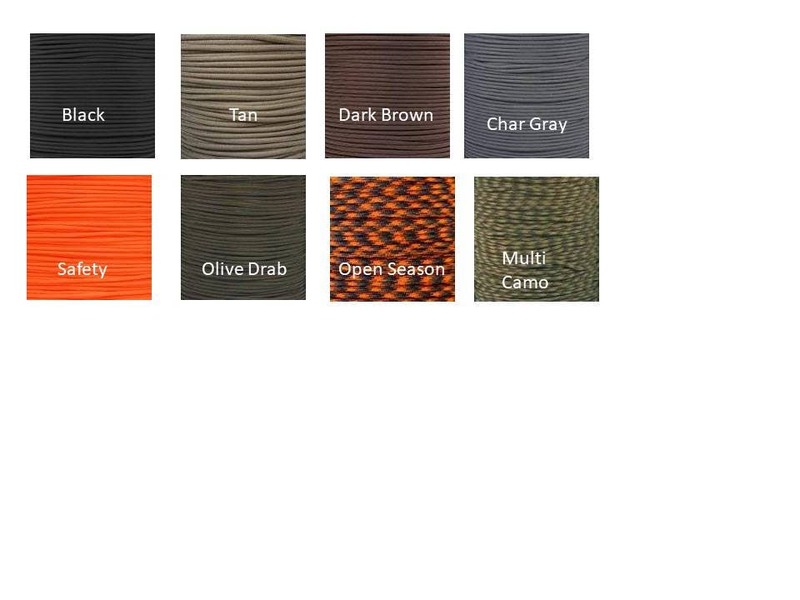 Shown here in Olive Green 550 paracord. 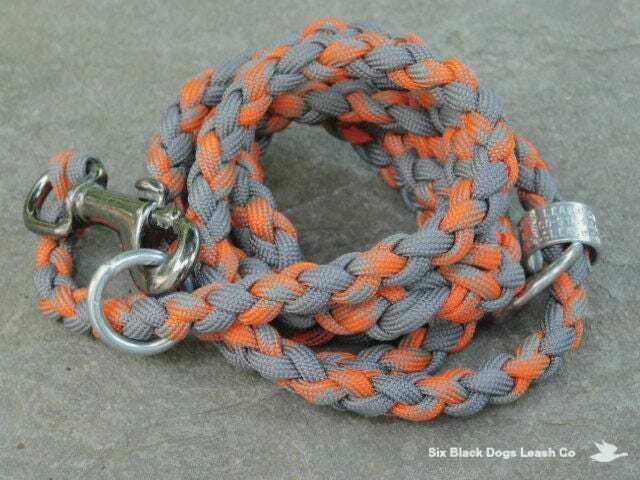 To use as a collar/leash, put the leash around the dogs neck and attach the snap bolt to the stationary soldered "O" ring that has been woven into the paracord. Approximate neck size is necessary for the correct placement of the static "O" ring. 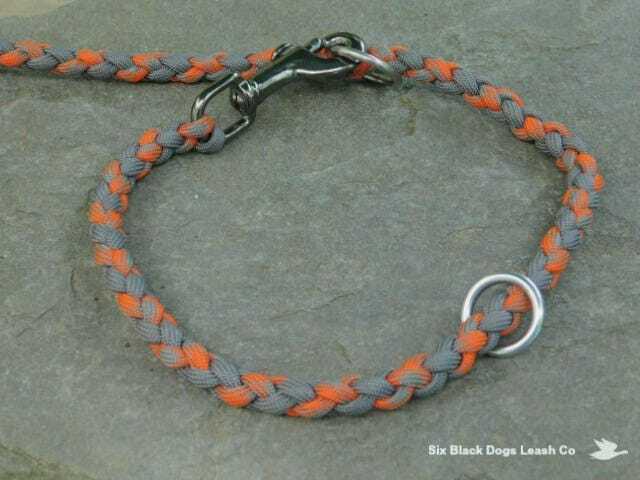 Measure an existing color that fits your dogs neck the way you like it. 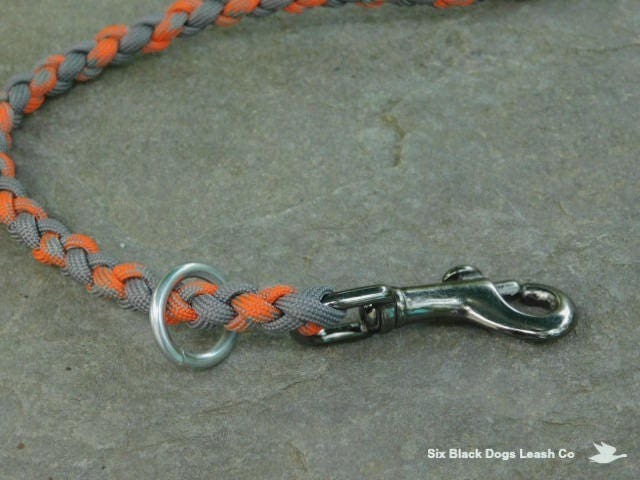 Fit of that collar should include being able to fit 1/2 fingers between the collar and your dogs neck. Select the size needed in addition to the color. Strong but easy to handle, easily stores in pocket. Made originally at a customers request. I liked it so much decided to offer it as an ongoing product.